I have an idea but I believe everybody's idea should be heard. Post your suggestions or PM me. I think 2 weeks should give enough time but subject to extension. I am posting this as an announcement to keep it on the top of the page for now. I think all we need to do is look through all the bus related forums and re-read the posts contributed by Mr. L. This alone speaks volumes of Mr. L's vast knowledge. For us old timers and seasoned bus enthusiasts, it's always a refreshing reminder of what we learned from him and for those new to the forum, a vast source of endless information. Reading his posts is literally tapping his brain. What could be more honorable than that? I highly recommend it. It never grows old! Most of us never met Mr. L including myself. He would have been a wonderful addition to anyone's bucket list to have spent even a minute with him. I'm wondering if anyone has a photo of Mr. L to share with us? 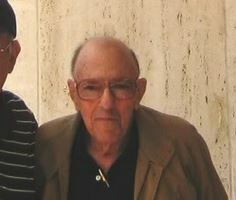 As mentioned previously I was fortunate to meet Mr. L several times. 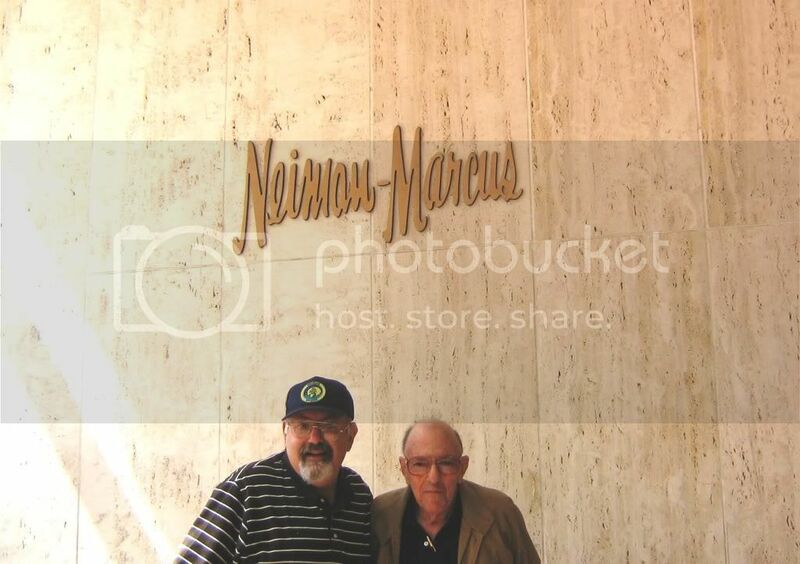 He treated my wife and I to lunch at Neiman-Marcus when we went several years ago to California. My wife took a picture of Mr. L and I at the back door of N-M by the garage and his Delta 88 that had NY plates. Right now I can't find the picture otherwise I would try to post it. Being a CPA I will need your indulgence until mid-May to look for it. The only other thought I have about the picture is that I MAY have posted here under the title of "East meets West"
Thank you for saving me a lot of time rummaging through my stuff. You asked if anyone had a picture of Mr. L. You found it and I would be honored if it is used as part of the honoring of our guru. Alan, I hope you don't me cropping your photo to include the image of Mr. L here to all to see. For those of us who never met Mr. L, hopefully we will in our next life. Of course not, after all this section is about our guru, not me. IF it can be done as I am not totally sure how- What about all of Mr. Linsky's essays in one thread? That might be a loooooonnnnngggg thread, but I won't mind going through it. 5071 post to go through and then copy the essays. Should only take about 30 minutes! Okay, we're depending on you. We'll check back in 31 minutes! I think you mixed up one of my favorite movie lines. From Leslie Neilson's character in the movie Airplane!, "good luck, we're all counting on you". Told this to a guy at work once, I made him wait 3 days before I told him what it meant. I couldn't take him following me anymore and asking what does that mean. Well said! That was about the same mental image I've had of him. If I had to rewrite my bucket list, I would have put Mr. L up at the top of whom I would love to have spent time with. And for those who had, you were blessed!